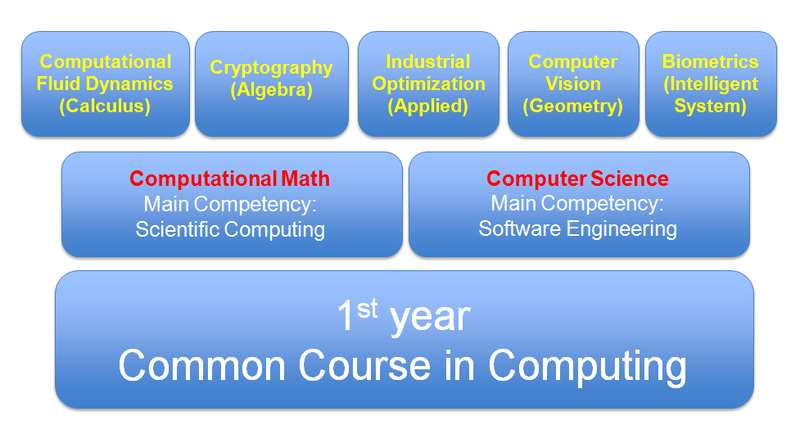 The contribution of Computer Science and Applied Mathematics to modern business practice is becoming more important as there are so many related fields such as intelligent system, computer vision, cryptography, product design/model planning, optimization, dynamical system, simulation all of which use the most sophisticated electronics technology, mathematics and computer software. The combination of two study programs into one study program is intended to maximize the capabilities of the students to solve problems in these many related fields. 1. To educate students with fundamental knowledge & skills to apply Computational Mathematics using ICT in developing innovative algorithm and software for a career as a applied mathematician or system analyst. In order to implement our mission, we offer special Double Majors focus on COMPUTATIONAL TECHNOLOGY that combine Computer Science with Applied Mathematics. This Program allows BINUSIAN to obtain two bachelor’s degree (S1) at the same time from different fields when will graduate. Double Majors are programs that combine two graduate competencies that support each other and produce a unique competence were not obtained when students take these areas separately. Graduate will be able to apply, analyze using Fundamental Mathematics to solve, calculate the related problems, especially in Computer Science. Graduate will be able to interpret, analyze computation problems, and create mathematical solution in form of algorithm, and integrate the appropriate Computing Technology for its solution. Graduate will be able to apply, analyze, formulate and evaluate using advanced Computational Mathematics. Graduate will be able to analyze, compose, and assess innovative algorithm in order to solve real problems in many related fields. Graduate will be able to use, analyze current techniques & skills in order to design, implement, and evaluate recent software. 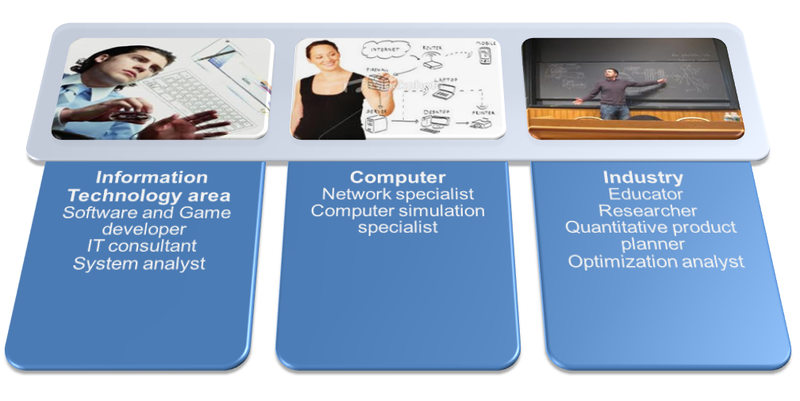 An environment that fosters active learner independence and encourages students to be able to succeed in their professional career and in fields related to Computer Science and Applied Mathematics. Furthermore, besides this department provides the means and expertise in Computer Science and Applied Mathematics to prepare students for a career as a Applied Mathematician or System Analyst who be able to create mathematical models to solve problems in many related fields, it also provides capability in developing Computer Science or Applied Mathematics both in Indonesia and among the nations of the world in order to pursue higher degree of education.